If you need palletised freight or goods collecting or delivering anywhere in UK, Ireland or Europe you have just found your perfect business partner. 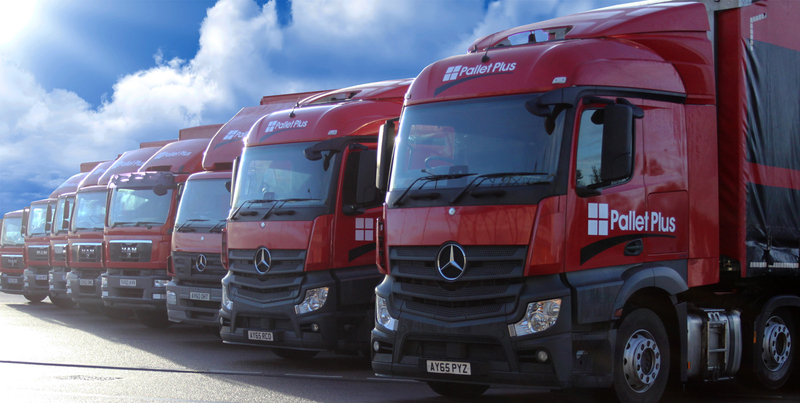 With over 10 years membership to arguably to most successful pallet network in the UK, TPN (The Pallet Network), Pallet Plus have established themselves as one of the most successful members of this national network. We pride ourselves on offering the most reliable and efficient service for the delivery and collection of palletised goods. 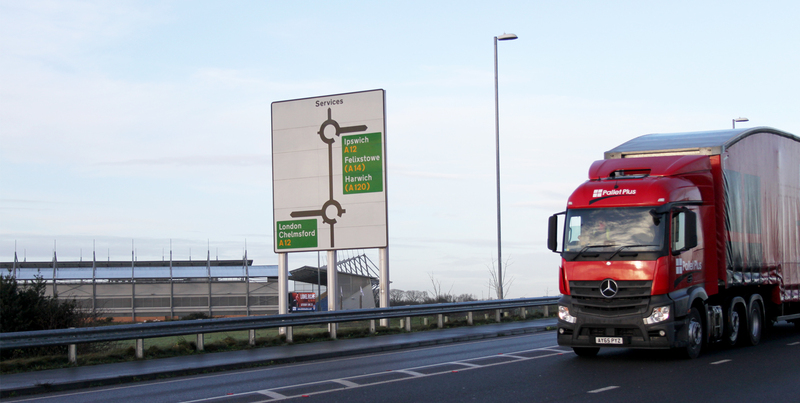 Our services are tailored for every possible requirement including dedicated transport where transhipment is not permitted or when something special is required. Our business is built on honesty, integrity and reliability by providing a completely transparent service but don't take our word for it read what our customers have to say. People make the difference and our team of highly skilled, dedicated and friendly staff are there for you and your customer from collection to delivery. Efficiency, environment and economy are all key drivers to a successful logistics package. Our vehicles run at an average of 92% capacity far in excess of industry targets, a crucial factor when considering ever increasing fuel costs. If you need to get your goods collected or delivered your company's long term success depends on a capable logistics business partner. Your life line to our system is The Pallet Plus LIVE! Portal. Customer built especially for our customers at Pallet Plus. We believe our online portal to be the best in the industry. Designed in-house bespoke for our Pallet Plus customers we are proud of its simplicity. With minimal clicks your Pallet will be on its way! Can you book on your current provider in under 5 seconds? Our LIVE! Dashboard gives you up to the second information on your account. Showing you your current KPI's and status of pallets due for delivery and collection. Have your pallet labels print automatically on consignment entry or when you want to print them. Automatically send your customers personalised SMS and email messages with tracking information the second your consignment is entered onto our system. Up to the minute live tracking from us Acknowledging the pallet to Out for Delivery. You have access to the POD and customers signature the minute its sent to our servers direct from the delivery depots smart devices. Do you have your own in house system for your orders. Tired of copy and pasting this to your logistics partner? Why not use our API to automatically have your jobs directly input into LIVE! Saving your operators time to concentrate their jobs. Our live portal is cloud based and can be accessed 24-7. SHA-2 and 2048-bit encryption ensures that your data is secure at all times. 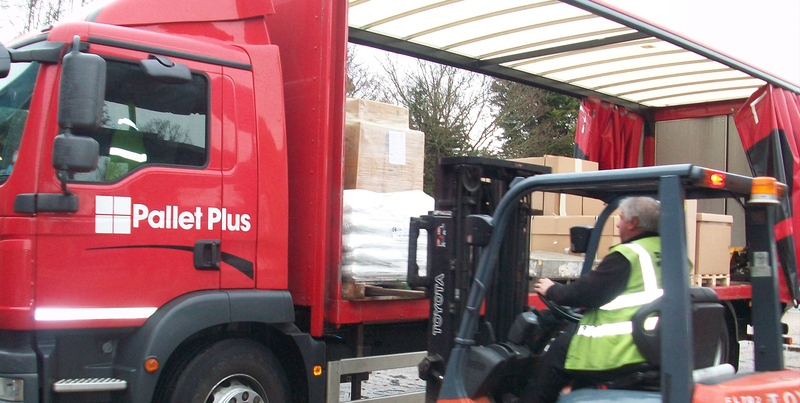 Pallet Plus covers 98% of the UK's postcodes with a next day service. We provide a 2-3 day delivery service across most of europe. 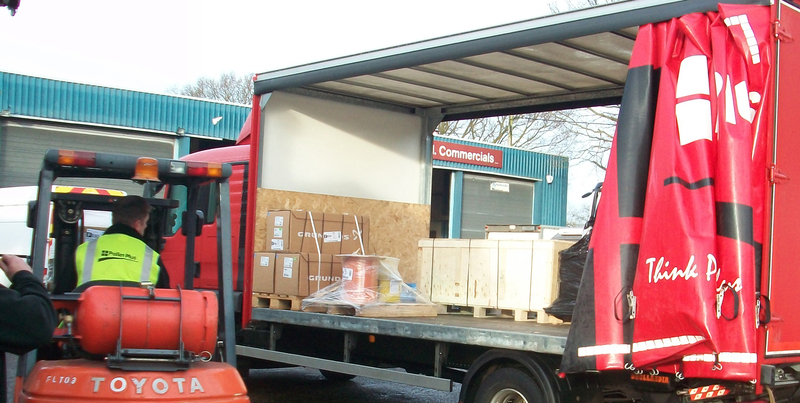 All of our deliveries and collections are made on tail lift vehicles as standard. We pride ourselves on having clear and concise services and pallet types. Euro Pallets and Standard Pallets are treated exactly the same with Pallet Plus so you don't have to worry about lots of confusing services depending on which type of pallet your good have been loaded. Standard insurance is included on all of our pallets at £5 per Kilo. Goods can be insured for any value required. An additional premium applies. Simply tell us where to be, when to be there, what to do and get on with your business. Leave the rest to us and consider it done. No job is ever the same be it a delivery to an exhibition where additional labour is required or important documents need to be delivered by hand we can provide the solution for you. We have even been asked to transport band's sound and stage equipment around Europe from show to show. Our range of dedicated services are diverse and there is not a transport solution we cannot provide but each job is different so please call and we will tailor a solution to suit your needs either as a one off or for a repetitive contract. We are proud members of industry leaders TPN (The Pallet Network) who are committed to being the premier service provider within the palletised distribution network sector. The network comprises of over 100 member companies throughout the UK and Ireland each responsible for a postcode catchment area. Each member trunks their own customers pallets to the hub overnight for onward delivery, collects pallets due for delivery in their catchment area and returns to their own depot. Strict rules and timescales are followed without exception with KPI's monitored to ensure all members are performing to the very highest standard possible. TPN's performance to service currently runs at 99.95%. Unlike some of our competitors TPN operates a single hub system which greatly reduces pallet handling. You can be sure your goods are well looked after with damages reported at 0.004% against pallets handled. Click sign up below to sign up for an account online and begin your relationship with the areas most consistent pallet carrier. Agree your rates and sign into a contract if you wish to. Receive your login information and login to our SHA-2, 2048-bit SSL encrypted secure portal. Login and load your consignments within seconds of logging in. TPN Network Member Based in Colchester, Essex. Providing excellent customer service and pushing the boundaries of IT.